Here you be able to find and download any of our resources and publications, just click on the underlined links below to download the lastest issue. 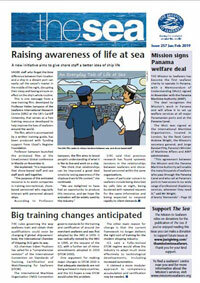 Now in its 40th year, The Sea newspaper is aimed at seafarers, to help them keep up to date with the latest news and safety information. To be added to the mailing list please contact the press office. It is published six times per year and is also available in our port centres. Our printed supporters' magazine is entitled Flying Angel News and is known by its acronym as FAN. It contains lots of helpful tips to help you with organising local fundraising events and publishes notices of Mission events. We also produce features about our essential welfare work worldwide. The Mission publishes a Prayer Diary 2019 every year in October, for the following year. 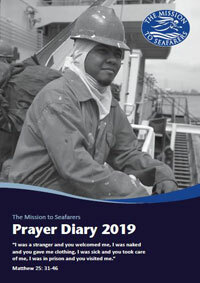 We pray for seafarers and their families worldwide, our sister welfare organisations and our staff worldwide. Thinking of leaving part of your estate to Mission to Seafares?